Spinach!! The power food Popeye has to get his energy. Spinach is so healthy and packed with nutrients that I am planning to keep having lots and lots of it. I made a variation of the recipe here according to the ingredients I had at hand. Put the rice into a large saucepan along with 2 1/2 cups water . Bring to a gentle boil, then lower the heat, cover, and simmer gently until the water is absorbed, about 30 minutes. Meanwhile, chop the spinach finely. 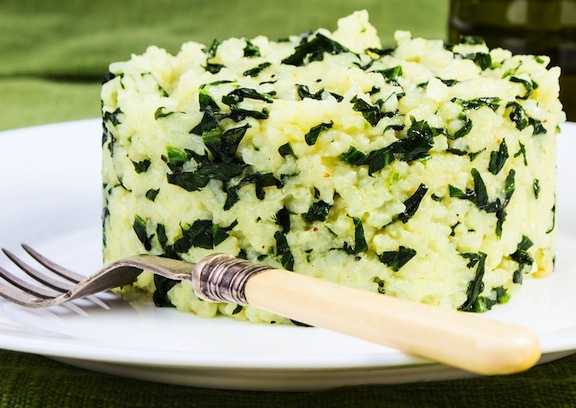 Once the rice is done, add the spinach in batches, stirring in as it wilts down. Stir the remaining ingredients into the rice and serve. This entry was posted in Bucket List, The Kitchen and tagged bucket list, vegetarian recipes. Bookmark the permalink.